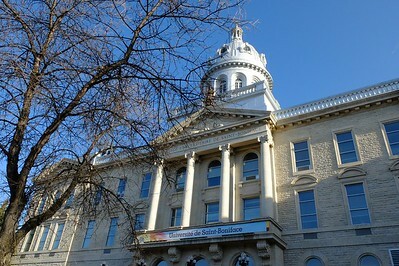 Main building of the Université de Saint-Boniface. 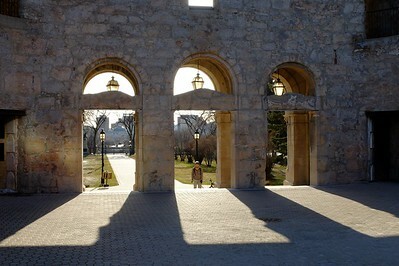 From inside the remaining walls of the St. Boniface Cathedral, looking toward downtown Winnipeg. 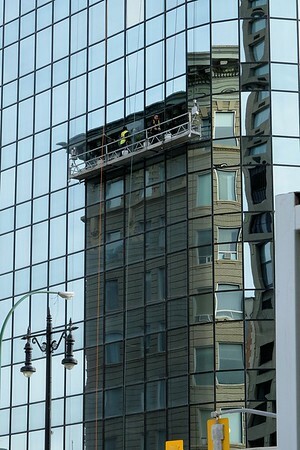 Window washing near Portage St., downtown Winnipeg. Which building are these men washing? 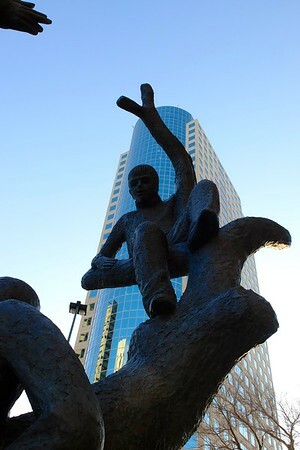 Sculpture of kids in a tree, Portage and Main, downtown Winnipeg. 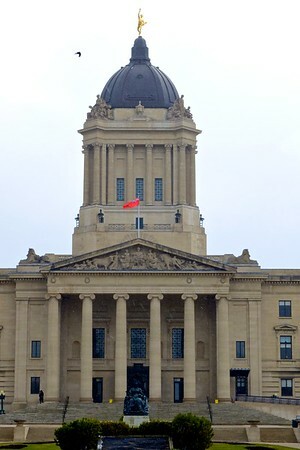 Manitoba Legislature with the Golden Boy, a crow passing by, and a few flurries. 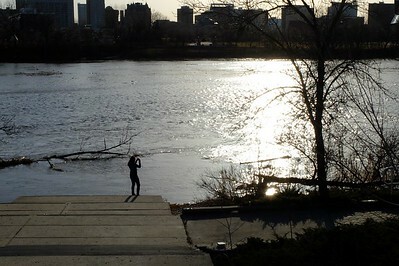 Strolling along River St., in Osborne Village. 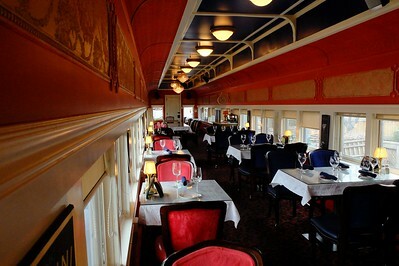 At the St. Boniface train station, now a restaurant, an old passenger car has been appended as an additional dinning room. 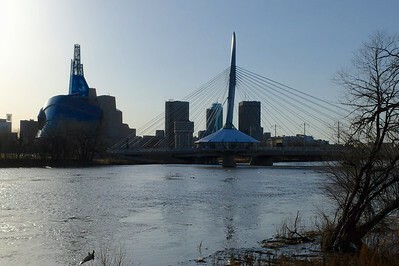 Rouge river swelling, with downtown Winnipeg's buildings in the background. 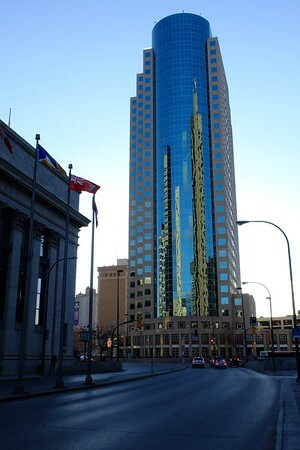 Portage and Main, downtown Winnipeg, at sunset. 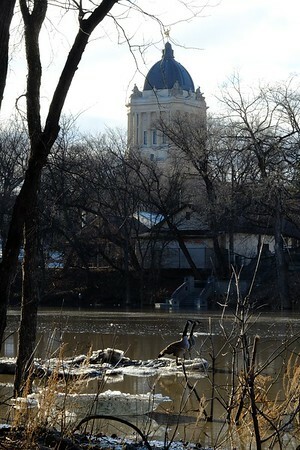 Manitoba Legislature and two Canada geese resting on the swelled Assiniboine River. 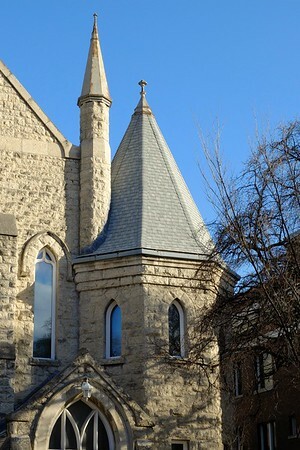 Details of a church in Osborne Village. 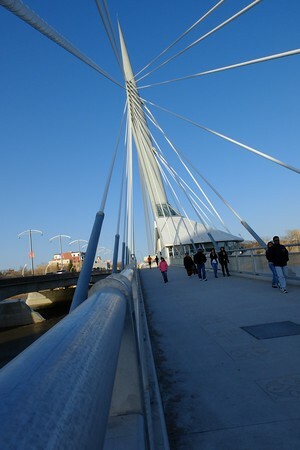 Louis-Riel Esplanade Bridge, over the Rouge, with the Human Rights museum on the left. 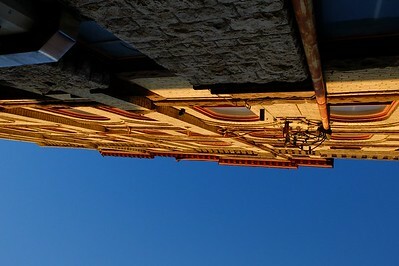 Looking up in the old trading district, downtown Winnipeg. 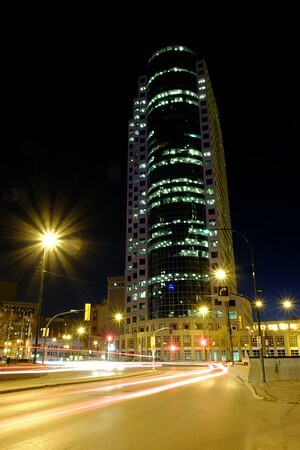 Portage and Main, downtown Winnipeg, later in the evening. 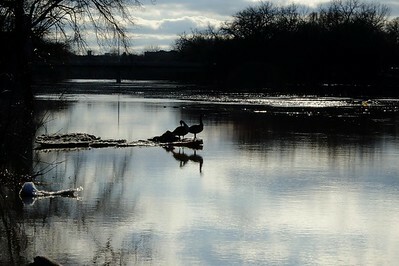 Assiniboine river flowing by a park in Osborne Village. 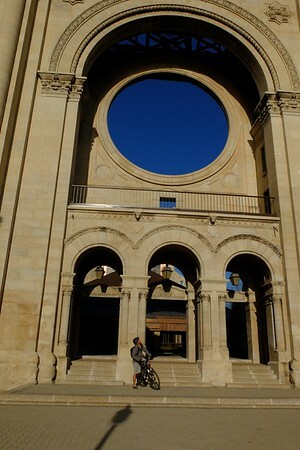 Façade of the St. Boniface Cathedral. 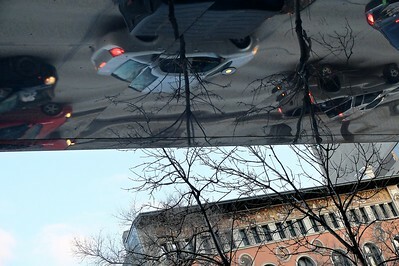 On the Louis-Riel Esplanade Bridge. 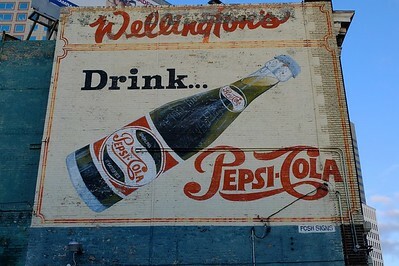 Pepsi ad from the '50s, still looking fresh. 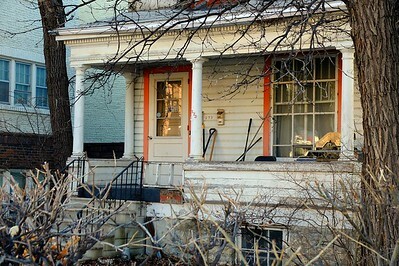 Or was it part of a movie set? 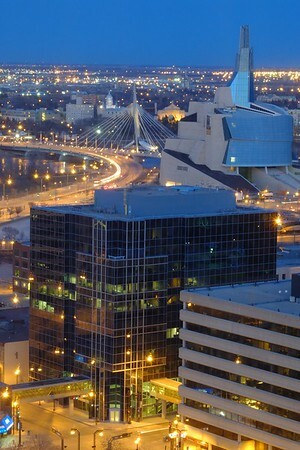 Winnipeg's skyline from the 25th floor of the Radisson hotel on Portage. 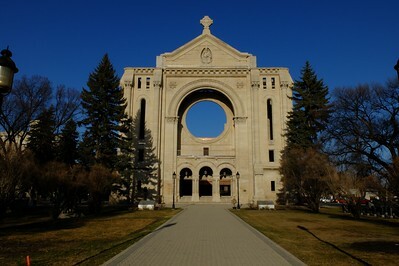 In the center of the background one can see the Louis-Riel Esplanade Bridge, on its right the St. Boniface Cathedral, and on its left the dome of the Collège Universitaire de St-Boniface. 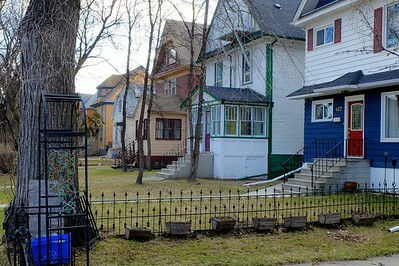 A colourful row of houses in Osborne Village.